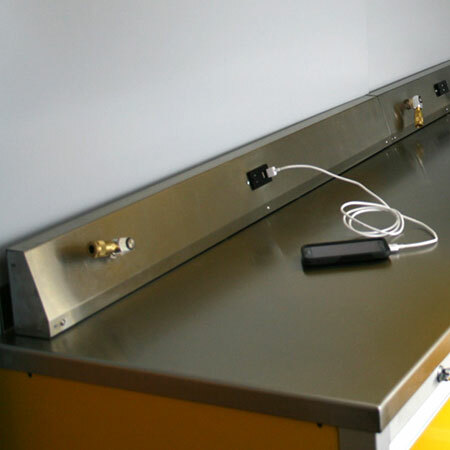 Countertop made from #4 polished stainless steel. 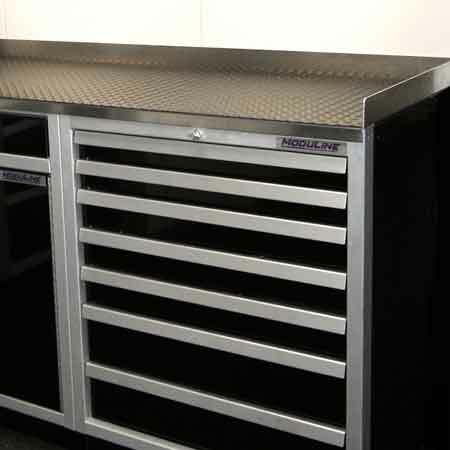 The Corner Countertop Kit makes it easy to turn a 90 degree corner between Base Cabinets and/or Built-in Tool Boxes and includes Stainless Steel Countertop with splash guard and all necessary bracing and fillers. 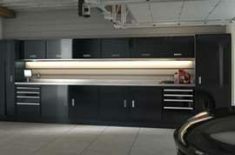 The Corner Countertop Kit is color matched to go with your Base Cabinets or Built-in Tool Boxes. Filler color available in Moduline Blue, Red or Signature Black, high-gloss finish. and all necessary bracing and color matched fillers.